Look what we had for dinner! 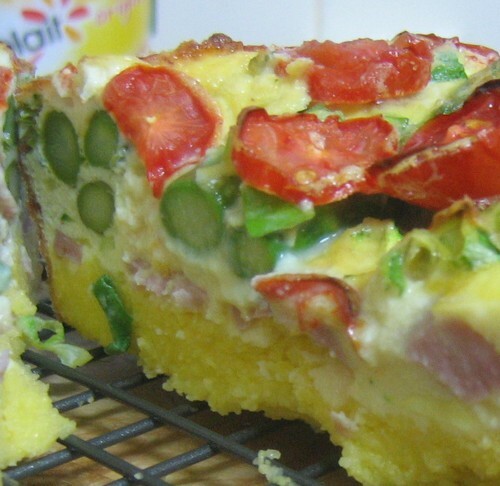 The thing I love about fritatta is that you can pretty much do anything at all with it and it will turn out yummy. Tonight I tried my hand at creating a fritatta with a polenta base. I love polenta so it seemed like a good idea…and it was! 7. Bake until golden and cooked right through. Hwoooor! My Bug will love this!